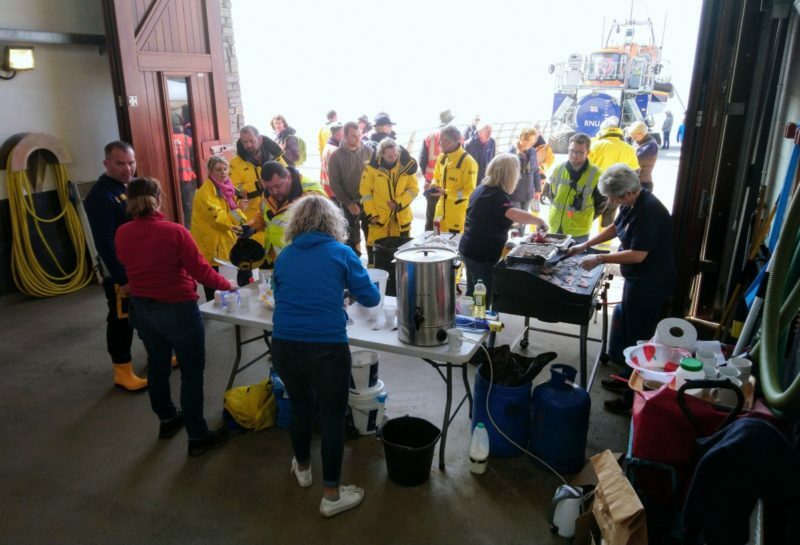 Crew volunteers, members of the public and the Community Safety team were busy setting up stalls; the Fundraising Events team were making bacon baps and hot drinks to raise money to help save lives at sea, when the call for assistance came through. 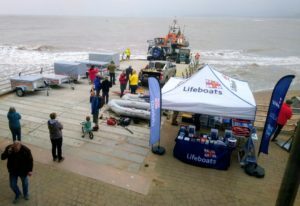 19 stall holders had given a donation of £10 each to sell their boat and watersport jumble, filling both boat halls and lined the esplanade along the seafront. Devon and Somerset Fire Service attended with their engine, Exmouth Coastguard had also been tasked to search, so could not attend. The three-hour event raised over £1,600 and was organised by the Fundraising Events team. 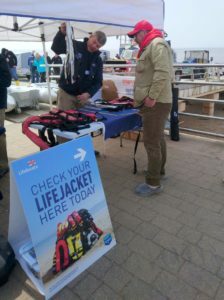 Deputy Coxswain, Roger Jackson spent over two weeks arranging collections in the community, following the appeal for jumble. Of the total, over £800 was raised by selling generous donations. 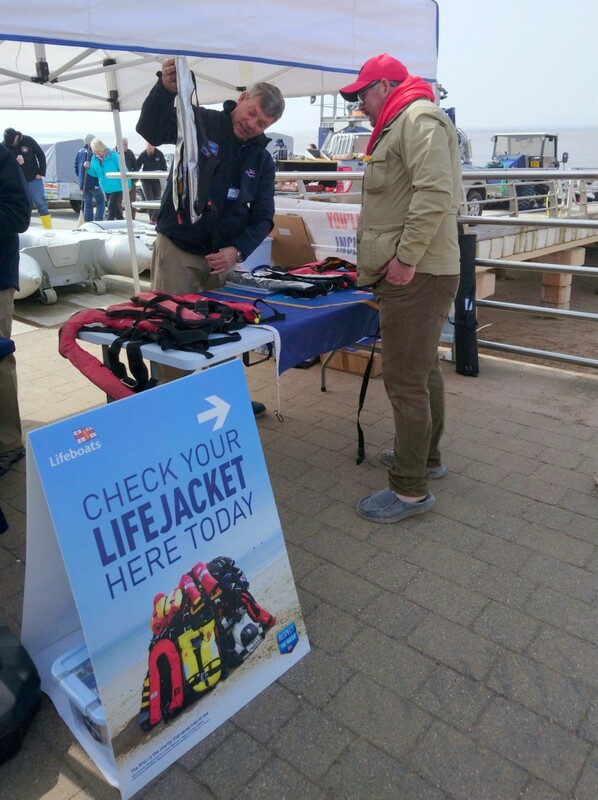 The Community Safety Team checked 10 lifejackets, condemning three unfit for purpose. Shop volunteers were busy, taking £477.45 – the highest daily figure this year. The last time a boat jumble sale was held five years ago, £1,006 was raised. Both lifeboats were stood down, together with Teignmouth RNLI, Coastguard Rescue Teams from Exmouth, Teignmouth and Beer, Police and Coastguard helicopters at around midday, but no casualty was found.